Clean Up City of St. Augustine, Florida: Who is Walton County Sheriff MICHAEL A. ADKINSON, JR. and why does he threaten to arrest beachgoers? Who is Walton County Sheriff MICHAEL A. ADKINSON, JR. and why does he threaten to arrest beachgoers? Walton County, Florida Sheriff MICHAEL A. ADKINSON, JR., at the behest of rich white Republican property owners, an effete corps of impudent snobs, states he plans to arrest beachgoers commencing July 1, 2018. This is a civil rights issue. I foresee beach wade-ins, like those that Rev. 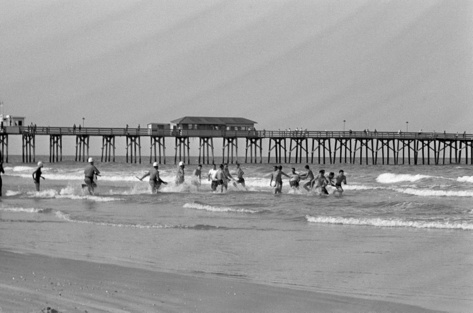 Dr. Martin Luther King, Jr. encouraged in segregated St. Augustine Beach, Florida in 1964 (photo above). 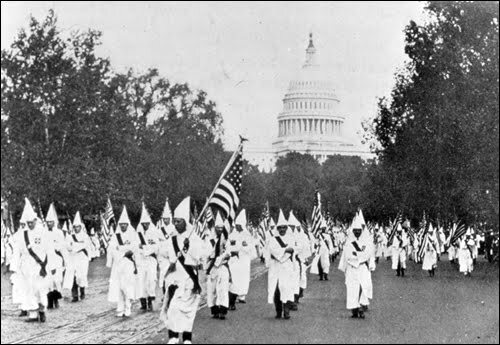 It's pursuant to a loony law enacted at the behest of dull rich white Republicans, led by disgraced former Arkansas Governor MICHAEL HUCKABEE and Florida Governor RICHARD LYNN SCOTT. Too often, our legal institutions are instruments of oppression in the hands of rich guys. This is yet another attack on "home rule" by statist reactionaries in Tallahassee. Fortunately, St. Johns County enacted a customary use ordinance years ago. 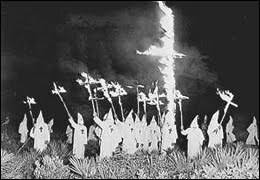 So if vacationers in Walton County can escape the clutches of supercilious Walton County "Sheriff*" MICHAEL A. ADKINSON, JR., they might find their way to St. Johns County, where there are 42 miles of sunny beaches with a customary use ordinance. Some patrolled by St. Johns County Sheriff DAVID SHOAR, who changed his name from "HOAR" in 1994, and whose deputies will presumably NOT arrest you for putting a blanket on the sand in front of some insane rich guy's home. 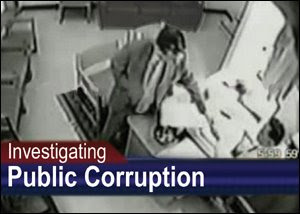 Caveat: exposed by The New York Times and PBS Frontline, Sheriff SHOAR covered up the homicide of Michelle O'Connell in the home of Deputy JEREMY BANKS, September 2, 2010-date, along with State's Attorney RALPH JOSEPH LARIZZA and a succession of two incurious special prosecutors appointed by Governor RICHARD LYNN SCOTT. But not even corrupt St. Johns County Sheriff SHOAR is cruel enough to threaten to arrest "outsiders," to wit vacationing families over a brand-new law that may be well-nigh unconstitutional and unenforceable. Bill Clinton said in his Second Inaugural, "Nothing great was ever accomplished by being small." Rather than taking a "wait and see" attitude, Sheriff MICHAEL A. ADKINSON, JR. is militantly committed to enforcing an unjust law. And as our City of St. Augustine's namesake, Saint Augustine, said it best, "An unjust law is no law at all." Sheriff ADKINSON is the poster child for dull Republican lawmen who are not happy unless they're making someone else unhappy -- that's their business plan. This uncouth, unkind, unChristian lawman needs to back off until Walton County Commissioners and courts get to address the issue. Arresting people this holiday weekend will embarrass Walton County and create a potential public relations disaster and civil rights liability. People will vacation elsewhere, avoiding the hassle. Nothing good can come from this, Sheriff ADKINSON. The electorate in Walton County should pray pray for you to get decent legal and PR advice, and to stop threatening beachgoers. This will not end well for you, unless you aspire to have a Hollywood movie made about your patently unjust campaign to make our public beaches safe for "property rights." California protects the rights of beachgoers, not rich property owners, and has issued millions of dollars in fines for obstructing beach access. Its California Coastal Commission should be studied and learned from by our legislators. 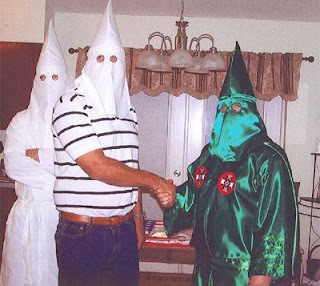 Nice job, Sheriff, you put the fear of rich guys into every family going to the beach in redneck peckerwood Walton County, a traditionally Klucked-up Ku Klux Klan county, one that tellingly supported Newt Gingrich in the January 31, 2012 Republican Presidential Preference Primary. 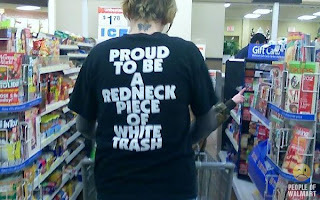 Like large parts of west Florida, is Walton County still populated by deluded ninnies, boobies, bigots, yahoos and redneck peckerwoods? They elected and re-elected supine, supercilious Sheriff MICHAEL A. ADKINSON, JR., a lickspittle for the rich and powerful. Meanwhile, here's the bio of this insipid porcine "Sheriff*," MICHAEL A. ADKINSON, JR., followed by news coverage of his Southern segregationist-style plans to arrest Walton County beach goers on the Independence Day weekend, when we honor our Founders for standing up to British oppression. Sheriff Michael A. Adkinson, Jr. is a sixth generation native of Walton County, Florida and is a 1988 graduate of Walton Senior High School. Upon graduation, Sheriff Adkinson continued his education at Florida State University where he obtained his Bachelor of Science Degree in Criminology in December 1992. Sheriff Adkinson is a graduate of the Florida Department of Law Enforcement's Chief Executive Seminar #40. Sheriff Adkinson is an 18-year law enforcement veteran, having previously worked with the Florida Department of Corrections, Bureau of Parole, The Tallahassee Police Department, and the DeFuniak Springs Police Department. Sheriff Adkinson has continued his criminal justice education by attending over 2,000 hours of law enforcement training and has served as an adjunct instructor at The Pat Thomas Law Enforcement Academy, which is one of the nations premier law enforcement academies. Sheriff Adkinson has also lectured at the University level on law enforcement issues. In September 2005, the DeFuniak Springs City Council appointed Sheriff Adkinson as City Marshal/ Chief of Police for the DeFuniak Springs City Police Department. In April 2007, he returned to this position through the City's general election by an impressive 68% of the vote. During his term at the DeFuniak Springs Police Department, he implemented that agency's first policy and procedures manual. Sheriff Adkinson became an accreditation manger and started the agency on the accreditation process. Sheriff Adkinson instituted formalized training procedures to help professionalize the agency. He was able to increase the number of officers and raise the salaries to competitive levels. Sheriff Adkinson formed a citizens advisory committee made up of local residents and business owners to help provided input into departmental operations In 2007, he was also selected to serve on the Ethics Committee for the Florida Police Chief's Association, marking the first time a Walton County law enforcement officer has served in that capacity. In November 2008, Sheriff Adkinson was elected as Walton County Sheriff, taking 44% (in a field of 7) of the vote in the Primary Election, and 64% of the vote in the General Election. Sheriff Adkinson took office January 1, 2009. In his first year in office Sheriff Adkinson implemented many changes that created a significant cost savings for the agency. He reestablished the agency's SWAT Team and dedicated two full-time warrants/fugitive deputy positions to tackle the caseload of over 8000 warrants that remained from the previous administration. He has begun the first Environmental Enforcement Program and updated the Agency's Aviation Program with more training hours, enhanced maintenance and up to date equipment. The Agency received a grant in the amount of $818,728.54 to fully fund a Crime Scene Unit. This is the largest grant ever awarded to the Agency. Sheriff Adkinson assumed the operations of both 911/Joint Communications and Emergency Management for the county in June 2009. Sheriff Adkinson has approved fifty new general orders replacing an antiquated policy manual. Sheriff Adkinson has started the agency on the accreditation process and anticipates the completion of the process in early 2012. Sheriff Adkinson was appointed to the Florida Sheriff's Association Legislative Committee in October 2009. Sheriff Adkinson acts as the liaison between Walton, Washington, Bay, Gulf, Franklin, and Calhoun counties and the FSA for legislative issues within their perspective counties. Sheriff Adkinson was also selected as the Co-Chair of the Region one (1) Regional Domestic Security Task Force. This is an establishment made up of critical partnerships of first responders across the state. These partnerships play an integral role in the refinement of Florida's Domestic Security Strategy. Sheriff Adkinson has been married to his wife, Erin, for 17 years and has two beautiful daughters, Annabelle and Ava. All of whom reside in DeFuniak Springs. The Adkinson family is members of the First Baptist Church of DeFuniak Springs. Sheriff Adkinson is an active member of the Parent Teacher Organization at West DeFuniak Elementary School and is a member of the Kiwanis Club. Sheriff Adkinson and his wife also are active in raising awareness of Type 1 Juvenile Diabetes and established a support group, Emerald Coast Type 1, to reach out to other local families who have children with the disease. 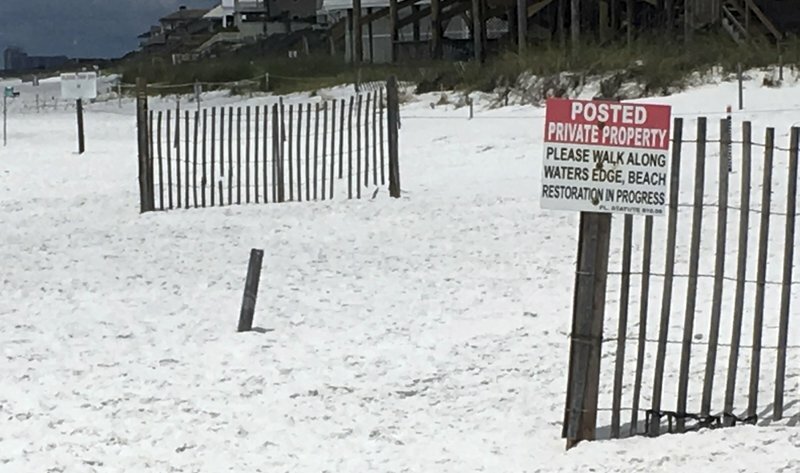 SANTA ROSA BEACH, Fla. (AP) — Along a stretch of white, sandy shoreline in Florida’s Panhandle, a simple question has led to profanity-laden arguments, private security guards and calls to law enforcement: Who owns the beach? In one coastal county, a new state law is set to rekindle that uproar just in time for the July 4th holiday. As of July 1, Walton County Sheriff Michael Adkinson said his deputies will have to start arresting people who put their beach blankets down in front of private homes and refuse to leave. To county residents like Dave Rauschkolb, a surfer and restaurant owner, that’s just wrong. 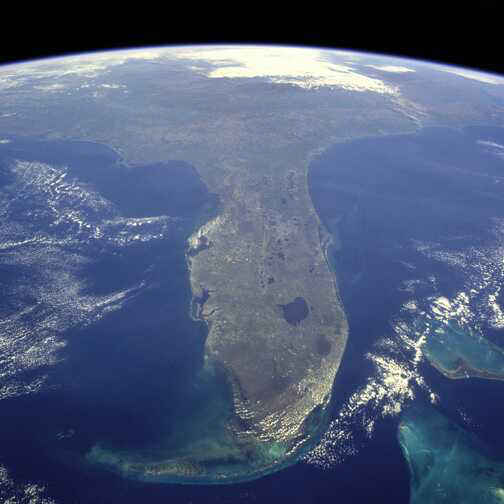 Many Florida beachfront homes own the sand down to the average high-water line. 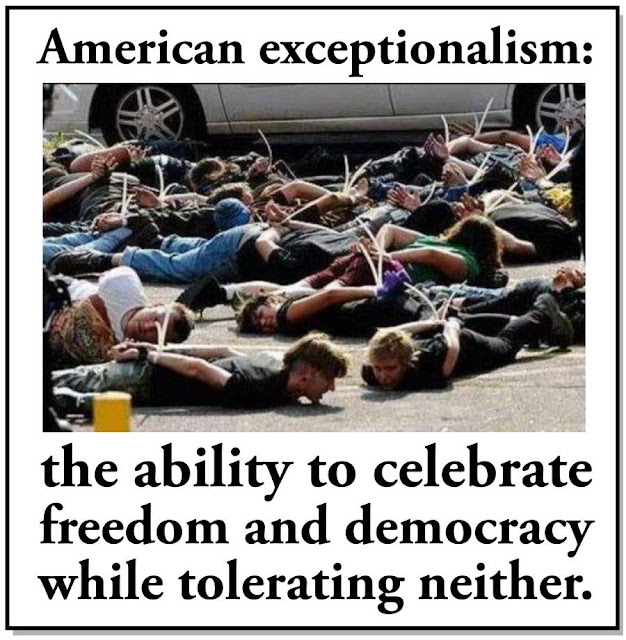 Yet in some counties, like Walton, local ordinances allow the public to put out towels and umbrellas, fish and hang out if it’s shown that those beaches have been open to the public for decades. A new state law establishes a process for counties to grant what’s called “customary use” access to otherwise privately owned beaches. It goes into effect July 1, when beaches will be crowded in this area between Pensacola and Panama City Beach. Long known as the “Redneck Riviera,” this stretch of the Gulf Coast has been an established tourist destination for working-class Southerners. More recently, however, it has captured the interest of wealthy visitors who have built multi-million dollar beach homes. Democratic state Rep. Katie Edwards-Walpole said she sponsored the bill to end legal disputes between local governments and property owners — not restrict beach access. The new law won’t change the current rights people have to the beach — except in Walton County. Unlike two Atlantic Coast counties with similar beach-access ordinances, Walton County’s ordinance doesn’t follow the requirements of the new law. The county didn’t seek court approval before implementing its ordinance and it gave blanket access to all beaches instead of identifying specific parcels of private lands. That’ why it will become void. Now Walton County is gearing up for more fights. “It’s pretty scary,” said Theresa Barrett as she prepared to go to one of the county’s public beaches. She said there will be more conflicts between local residents and tourists will be driven elsewhere. But Bill Hackmeyer and other property owners also want to enjoy their beach in peace, and they say their property values will be affected if anyone can take advantage of the space many paid millions to have to themselves. Standing on the balcony of his $3.6 million home, Hackmeyer pointed at two people with a beach umbrella among homeowners and renters along the 1,000-foot stretch of beach in front of his gated community. “Those people are outsiders. I’m pretty sure, but I can’t do anything about it until July the first. They’re trespassing,” Hackmeyer said. 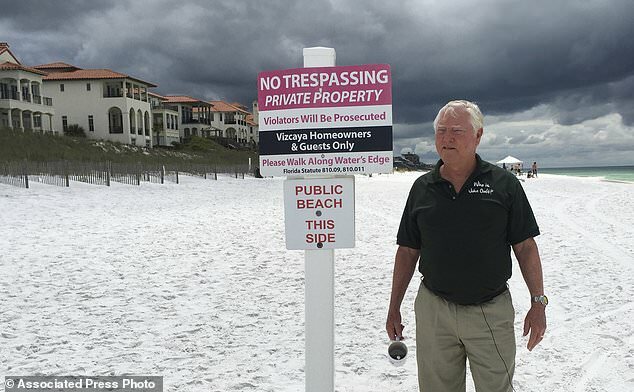 Hackmeyer has already posted signs on the beach notifying visitors that the Viscaya stretch is private property and violators will be trespassing. Folks can walk along the waterline, or at low tide can stake their claim to sand that was wet a few hours earlier, but Hackmeyer plans to ask people to leave the association’s beach. Rauschkolb, who has traveled the world to enjoy the ocean, is one of the more vocal Walton County residents fighting for beach access for all. He’s proposed ideas to bridge the dispute, including a beach ambassador program that would help educate people about beach rules. But the issue isn’t going away soon. Walton County commissioners refused to be interviewed for this article, but did issue a press release saying they’re going to follow the new law in an effort to give beach access to all. Hackmeyer is getting ready to fight Walton County again. Narcissistic $3.6 million beachfront homeowner WILLIAM HACKMEYER of Memphis, Tenn. is apparently a disciple of Ayn Rand -- notice the golf shirt worn by this charter member of the Smirking Turkey Society? Will global ocean level rise wipe that smirk off his piggy face? 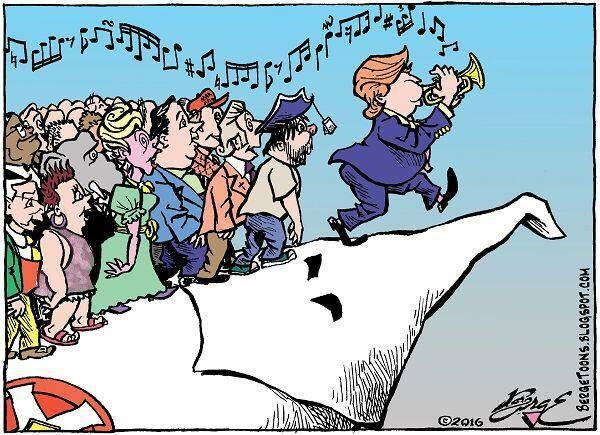 Karma's coming. Of course, if the beach erodes, being a snooty rich Republican, there's no doubt the possibility of some "beach renourishment" in the future. Hope the ACLU and the Surfrider Foundation are on this like a chicken on a junebug.